Mitchell David Kapor (/ˈkeɪpɔːr/ ( listen) KAY-por; born November 1, 1950) is an American entrepreneur best known for his work as an application developer in the early days of the personal computer software industry, later founding Lotus, where he was instrumental in developing the Lotus 1-2-3 spreadsheet. He left Lotus in 1986. In 1990 with John Perry Barlow and John Gilmore, he co-founded the Electronic Frontier Foundation, and served as its chairman until 1994. In 2003, Kapor became the founding chair of the Mozilla Foundation, creator of the open source web browser Firefox. Kapor has been an investor in the personal computing industry, and supporter of social causes via Kapor Capital and the Kapor Center. Kapor and his wife, Freada Kapor Klein, invest in social impact tech startups that seek to narrow gaps in opportunity and access for underrepresented communities and attempt to eliminate barriers to full participation across the tech ecosystem. Kapor and Klein take a comprehensive approach to removing barriers in education and the workplace for all and fixing the leaks at every stage of the tech pipeline. Kapor serves on the board of SMASH, a non-profit founded by Klein to help underrepresented scholars hone their STEM knowledge while building the networks and skills for careers in tech and the sciences. Kapor was born to a Jewish family in Brooklyn, New York, and raised in Freeport, New York on Long Island, where he graduated from high school in 1967. He received a B.A. from Yale College in 1971 and studied psychology, linguistics, and computer science in an interdisciplinary major, also attending the Boston-based Beacon College, which had a satellite campus in Washington, D.C. at the time. He began but did not complete a master's degree at the MIT Sloan School of Management but later served on the faculty of the MIT Media Lab and the University of California, Berkeley School of Information. Lotus was founded in 1982 by partners Mitch Kapor and Jonathan Sachs with backing from Ben Rosen. Lotus' first product was presentation software for the Apple II known as Lotus Executive Briefing System. Kapor founded Lotus after leaving his post as head of development at VisiCorp, the distributors of the Visicalc spreadsheet, and selling all his rights to VisiPlot and VisiTrend to VisiCorp. Shortly after Kapor left Visi-Corp, he and Sachs produced an integrated spreadsheet and graphics program. Even though IBM and VisiCorp had a collaboration agreement whereby Visi-Calc was being shipped simultaneously with the PC, Lotus had a clearly superior product. Lotus released Lotus 1-2-3 on January 26, 1983. The name referred to the three ways the product could be used, as a spreadsheet, graphics package, and database manager. In practice the latter two functions were less often used, but 1-2-3 was the most powerful spreadsheet program available. Under founder and CEO Mitch Kapor, Lotus was a company with few rules and fewer internal bureaucratic barriers.... Kapor decided that he was no longer suited to running a company, and [in 1986] he replaced himself with Jim Manzi. Kapor was extensively involved in initiatives that created the modern Internet. He co-founded the Electronic Frontier Foundation in 1990 and served as its chairman until 1994. EFF defends civil liberties in the digital world and works to ensure that rights and freedoms are enhanced and protected as our use of technology grows. Kapor was the founding investor in UUNET, one of the first, and the largest among, early Internet service providers; of Real Networks, the Internet’s first streaming media company; and of Linden Lab, maker of the first successful virtual world, Second Life. He was also founding chair of the Commercial Internet eXchange (CIX). In 2003, Kapor became the founding chair of the Mozilla Foundation, creator of the open source web browser Firefox. Kapor serves on the advisory board of the Sunlight Foundation. In May 2009, after founder Susan P. Crawford had joined the Obama administration, Kapor took over chairmanship of OneWebDay - the "Earth Day for the internet". In 1996, the Computer History Museum named him a Museum Fellow "for his development of Lotus 1-2-3, the first major software application for the IBM PC." He founded the Mitchell Kapor Foundation to support his philanthropic interests in environmental health. As an active angel investor, Kapor participated in the initial rounds of Dropcam, Twilio, Asana, Cleanify, and Uber. Kapor founded the Kapor Center in 2000 as an institution focused on tech inclusion and social impact. The institution's mission is to invest in social and financial capital in vital non-profit organizations. As part of the Kapor Center, Kapor Capital is its venture capital arm. The venture capital firm has been investing since 2009, including early angel round investments in Uber. As of 2018, Kapor Capital has made over 160 investments, primarily in information technology seed stage startups, with a particular focus on diversity. Since 2016, the Kapor Center for Social Impact, Kapor Capital, and SMASH have been located in the Uptown neighborhood of Oakland, CA. In August 2015, Mitch and Freada announced they would invest $40 million over three years to accelerate their work to make the tech ecosystem more inclusive. 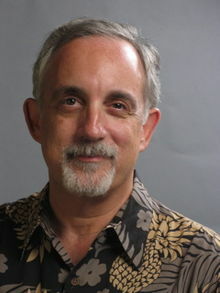 In addition to his roles at Kapor Capital and Kapor Center, Mitch currently serves on the Board of SMASH, whose mission is to enhance equal opportunity in education and the workplace, and sits on the Advisory Board of Generation Investment Management, a firm whose vision is to embed sustainability into the mainstream capital markets. He is married to Freada Kapor Klein and resides in Oakland and Healdsburg, California. Both served on the Board of Trustees of the Summer Science Program from 2004 to 2006. He was a student of the program in 1966. ^ a b "Mitchell Kapor: Biography". Kapor.com. ^ a b Garofoli, Joe (August 3, 2015). "Oakland's Kapors spend $40 million to help diversify tech world". San Francisco Chronicle. ^ a b c Berry, Jahna (August 5, 2015). "Tech power couple Mitch Kapor and Freada Kapor Klein give $40 million to make tech industry more diverse". American City Business Journals. ^ Garling, Caleb (August 24, 2013). "Mitchell Kapor seeks to meld business, social good". San Francisco Chronicle. ^ Wall, Alix (November 2, 2017). "Meet the Oakland philanthropists trying to diversify the tech world". J. The Jewish News of Northern California. ^ Caruso, Denise (1984-04-02). "Company Strategies Boomerang". InfoWorld. pp. 80–83. ^ Jerome H. Want (2007). Corporate Culture: Illuminating the Black Hole. p. 55. ^ "Where Is the Digital Highway Really Heading?". Wired. March 1, 1993. ^ Goodall, Jeff (June 10, 1993). "Mitch Kapor: Civilizing Cyberspace". Rolling Stone. ^ JESDANUN, ANICK (July 5, 2006). "Defending liberties in high-tech world". MSNBC. Associated Press. ^ Gonsalves, Antone (September 6, 2005). "Mitch Kapor Backs Open Source Software For Simplifying Internet TV". InformationWeek. ^ Lih, Andrew (2009). The Wikipedia Revolution: How a Bunch of Nobodies Created the World's Greatest Encyclopedia. London: Aurum. p. 8. ISBN 9781845134730. OCLC 280430641. Mitch Kapor, founder of Lotus Development Corporation, made the trip on his own time. ^ "Board and Advisory Board". Sunlight Foundation. ^ "Mitch Kapor 1996 Fellow". Computer History Museum. ^ "Mitchell Kapor Foundation". GuideStar. ^ "Kapors pledge $40 million investment in tech diversity". USA TODAY. August 4, 2015. ^ "Company Overview of Kapor Capital". Bloomberg L.P.
^ "Kapor Capital - Investments". TechCrunch. ^ "Who We Are - Kapor Capital". Kapor Capital. ^ "Kapor Center seeks to diversify tech while promoting Oakland Uptown Neighborhood". Fox 2 KTVU. July 20, 2016. ^ Guynn, Jessica (August 4, 2015). "Kapors pledge $40 million investment in tech diversity". USA TODAY. ^ "40 Diverse People In Tech Who Made Big Moves In 2015". TechCrunch. ^ Hunter, Brooke (December 29, 2015). "Let's Celebrate 2015 as a Year of Progress in Tech Inclusion". Slate. ISSN 1091-2339. ^ FALLOWS, JAMES (November 2015). "The (Planet-Saving, Capitalism-Subverting, Surprisingly Lucrative) Investment Secrets of Al Gore". The Atlantic. ^ Cringely, Robert X. (1996). Accidental Empires: How the Boys of Silicon Valley Make Their Millions, Battle Foreign Competition, and Still Can't Get a Date. Addison-Wesley. p. 95. Rosenberg, Scott. Dreaming in Code: Two Dozen Programmers, Three Years, 4,732 Bugs, and One Quest for Transcendent Software (2007) Random House ISBN 978-1-4000-8246-9, about Mitch Kapor, collaboration and massive software endeavors, particularly the open source calendar application Chandler. Wikimedia Commons has media related to Mitch Kapor. Mitch Kapor's "Why Wikipedia Is the Next Big Thing"